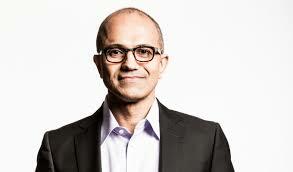 This is the beginning of our new FY 2015 – and of a new era at Microsoft. I have good news and bad news.The bad news is the old Devices and Services mantra won’t work. For example: I’ve determined we’ll never make money in tablets or smartphones. So, do we continue to pretend we’re “all in” or do we face reality and make the painful decision to pull out so we can use our resources – including our integrity – to fight winnable battles? With the support of the Microsoft Board, I’ve chosen the latter. We’ll do our utmost to minimize the pain that will naturally arise from this change. Specifically, we’ll offer generous transitions arrangements in and out of the company to concerned Microsoftians and former Nokians. The good news is we have immense resources to be a major player in the new world of Cloud services and Native Apps for mobile devices. We let the first innings of that game go by, but the sting energizes us. An example of such commitment is the rapid spread of Office applications – and related Cloud services – on any and all mobile devices. All Microsoft Enterprise and Consumer products/services will follow, including Xbox properties. I realize this will disrupt the status quo and apologize for the pain to come. We have a choice: change or be changed. Jean-Louis Gassee’s full take-home on the original is provided here. Satya Nadella should hire him.